As far as divorced moms go, you’d probably consider me a lucky one. 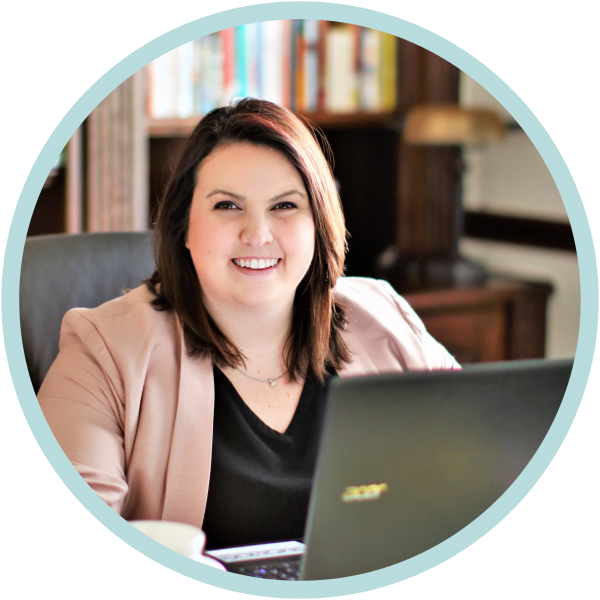 It’s easy to take one look at our blended family – my daughter’s father, stepmom, stepdad, and I, see how we all get along now and co-parent successfully, and think we must live in la-la-land. What people don’t see is how difficult it was to get to this point, and I never once considered myself “lucky” during that time. I’ve often written about how learning to share my daughter with another woman was the hardest challenge for me after my divorce. But once I mastered that hurdle, I realized just how lucky I was to have a woman like her helping to mother my child. She truly cares for and loves our daughter K like her own. Of course, not all moms have been so lucky. I’ve chatted with quite a few women going through some of the worst situations where co-parenting just isn’t possible. So after speaking with them, we’ve come up with a general list in response to Kristen’s post Things I Wish My Stepchild’s Mom Knew, of things bio moms want to tell their child’s stepmoms. 1. I don’t want your man. I’ve been there, done that, and it didn’t work out for a reason. So please put your mind at ease – I do not want your man! He is yours, until death do you part. And you know what? I’m happy you two are together! Seriously! You two deserve that happiness. 2. I’m afraid of you. More specifically, I’m afraid of my child loving you more than me. I know it might sound silly, but when another mother-figure comes into my kid’s life, there’s always that voice in the back of my head saying, “My daughter will think she’s more fun than me,” and other such comments. I’m sorry if my fear rears its ugly head sometimes; it’s just my insecurities talking. It’s hard for me to let go of the idea that I was going to be the only woman raising my child. Accepting you as another female role model and your role as stepmom is what’s best for my child, and I realize that. But put yourself in my shoes. It can be hard sometimes to learn to share, especially when it means sharing my child. I’m doing my best to try and accept you and your importance. 4. Hearing about you makes me happy and sad. Sometimes I get sad listening to stories about how much fun my child had with you, her stepmom – wishing that I had been there to witness her fun. But at the same time, it makes me so happy to hear about your adventures. I know it’s because she cares about you, and you clearly care about her. And that is the biggest reason why I want to have a relationship with you, too. I know you’re a mom. You are. A stepmom is a mom. But I don’t think anyone really understands the otherworldly connection a mother has to her child until she births one of her own. It’s supernatural. Animalistic. And sometimes when I voice my feelings, and you tell me you don’t understand, my only explanation for those feelings are that otherworldly love and emotion. So when I said “you might understand if you had a baby of your own” I wasn’t saying you aren’t a mom – I was only referencing that blow-me-away emotional connection. There’s no one way to parent, and no one is perfect at it. So when you try to tell me something I’m doing as a mom is “wrong” in your eyes, all it does is make me mad. No mother is perfect. No parent is perfect. And that includes you! So if you’re genuinely concerned, let me know – once. But stop “calling me out” every chance you get. Understand that my way of doing things is different than yours. 7. I trust you more than your husband. My ex and I have gone through a lot, but my relationship with you is new. Your loving way of caring for my child has given me reason to trust you, and I respect you for that. My trust in you is actually greater than the trust I’m just now rebuilding with your husband. And I honestly think you make him a better person. You actually makes this co-parenting thing easier! 8. Don’t believe everything you hear about me. As with any gossip you hear, there are 3 sides to every story – his, mine, and the truth. Try not to believe every horrible thing you hear about me, if you aren’t hearing it straight from my mouth. I know you’ll always back him up because he’s your husband, but I hope you can keep an open mind when it comes to my character. 9. Don’t talk bad about me around my child. I understand you might not like me, or you might have a bad impression of me. You might even vent to your mom or your friends about whatever “terrible” thing you think I did. But don’t speak poorly about me around my kid. All you’re doing is hurting her, as well as any potential relationship between you and me. 10. I wish we communicated better. We might not always understand each other, but I want to understand. Truly, I do. I honestly think most of our arguments are started over miscommunication and misunderstandings. Maybe we could work on that? As a team? 11. I am not your enemy. Contrary to what you may believe, I do not do things to hurt you. In fact, when I make decisions, you aren’t on my radar at all. With some parenting decisions, maybe you should be! Especially seeing as we’re a team now and all. From now on, I’ll be more thoughtful in keeping you in the loop. And if you think I offended you, let me know. I’ll try to be more mindful in the future. I realize that being a Stepparent isn’t easy. There are boundaries to navigate while developing your own relationship with our daughter. Being a mother figure while not trying to replace “Mom” for example. Please be mindful of my role (and your husband’s) when making parenting decisions. Maybe we could chat some time over coffee to discuss some of them. The more family my child has, the better. Children can never have too many people who love and support them. We are all her parents now, and I respect you for stepping up to the plate. We’re a team, so let’s start acting like one! 14. Thank you for always putting my kid’s needs first. Thank you for loving and caring for our daughter like your own. You put the stigma around stepmoms to shame! I couldn’t have asked for a better bonus mom for my child. I’m so glad she has you, and that you’re in all of our lives. 15. Thank you for respecting me and my role as Mom. I could have been stuck with my ex bringing a woman who disrespected and/or resented me into the equation, but I was lucky enough to get you! Thank you for respecting my role as Mom to our child and not trying to replace me in her life. How you treat me only adds to my trust in you. Thank you. 16. You make being a stepmom look easy. I’ve dated guys with kids, and all I can say is – being a stepmom is HARD! (Especially if the child and/or the parents don’t respect you as another parental figure.) But you make it look so easy. I guess that’s just a testament to your gracious character. You’re amazing! 17. I appreciate all you do. Our lives and that of our child would not run as smoothly without you. Thank you for all that you do. You’re always there to pick up the slack, to offer a helping hand, and to offer advice when requested. I might not say it often, but I really do appreciate your contributions to the team! And I know our daughter appreciates it too. After listening to a lot of stepmoms and moms and their responses to the “What’s one thing you wish you could say?” posts, it sounds like both sides wish to improve their relationships. Not all, of course, but most. And considering how misunderstandings and miscommunications are the prevalent reason behind Mom and Stepmom hate, it stands to reason that honest conversation could go a long way in many cases. If you’re a Mom who wants to improve your relationship with Stepmom, a good place to start would be to find common ground. Ask the other out for a cup of coffee to get to know each other. Keep getting together to craft, do yoga, or whatever you enjoy, until you feel comfortable enough to air your grievances respectfully. Take offense to a comment? Ask for clarification before engaging defense-mode. You could even share this article with her when you ask her to meet up! Let’s work together for our child’s sake. I’m sorry you feel that way smart dad. I really don’t try to undermine my ex. We work together as a team. All 4 of us do (Mom, Dad, Stepmom, Stepdad). This was a response to a post from last week “a letter from Stepmom to Mom”. It is also a compilation of responses from lots of bio mom’s, not just myself. I didn’t think this was bitter at all. I thought it was really honest, especially int he beginning. Letting someone else be a parental figure to your child is very scary. I’m happy the four of you can co-parent together. My oldest brother is divorced and has been for 14 years. I’ve seen so many struggles with his ex-wife. The ones who suffer most are the kids when parental figures don’t get along. It’s taken a lot but I’m glad we’ve gotten to this point. It’s absolutely true, the kids are the ones who suffer. I hope your brother and his ex wife have made it to a good place after all these years! Super honest and vulenerable post. I’m sure it’s hard sometimes having someone else as a parental figure. It’s definitely something all divorced parents have to work on accepting. But once you do, your child benefits most of all. Thank you for sharing something that is a very personal topic. I didn’t feel or sense any disdain towards your ex in this post at all. I see a Mom looking to make things work, even with having someone else in the picture, & raising YOUR children along side you. Sounds like you all are doing a GREAT job, especially you Mama. Keep it up! Thank you tickledscarlett ❤️ I appreciate the feedback. It means a lot. I loved all of these! I think you are doing an amazing job mamma ! This list is great! I plan on sharing it with some friends who will want to read it! This is always a challenging relationship and a difficult one to build trust in. I’m glad you’ve been able to work positively with your ex and his new wife, hopefully this can help mom’s and step moms alike. 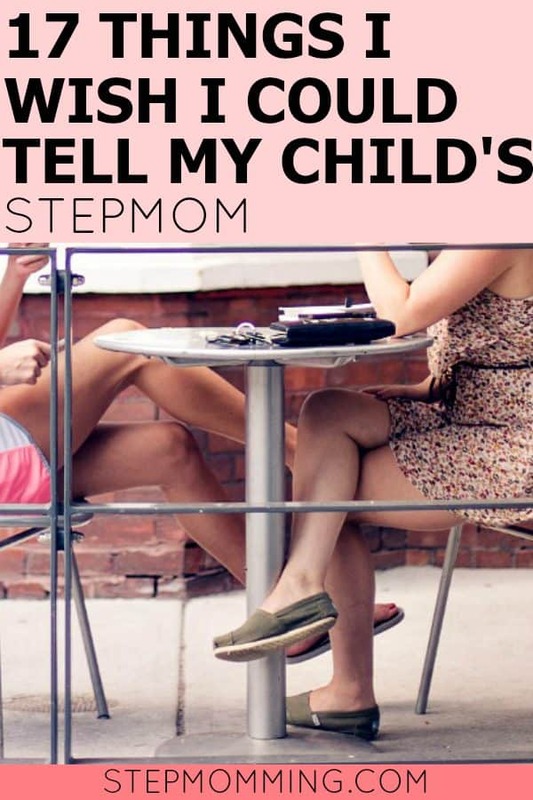 As a stepmom and adoptive mom, I really like the way you think about the “real mom” issue. I won’t know for sure until I (hopefully) have my own biological kids, but I think you hit the nail on its head. Parents who have non biological relationships with their children know that the bond takes time and it isn’t the instantaneous experience you get from giving birth. But the bond is still very, very real. And sometimes it’s even stronger than the bond the child’s biological parent has with them, like in the case of my adopted son. This was really interesting to read. Im a step mom but my role is a lot different than many step parents . My husband and I started dating before his daughter was born, Ive been there since day one. She is turning 4 in a couple weeks and she has lived with us exclusively for the past 18 months and no longer has contact with her mom . She calls me mommy or sometimes step mommy and knows about her bio mom. But the bond we have is very deep and mother-daughterly . I remember the first time that I met my step daughter she was 9 days old and when I saw her I felt that same rush of love I felt when I saw my own two boys for the first time and it was very special and different. I was a “surprise” step mom. My husband, boyfriend at the time, did not know he had a child. Him and I learned how to parent as a team. I love that little girl like my own and have since she was 10 months old when we found out. It is so nice to see how much work you have put into your co parenting relationship with all parties. And I greatly appreciate your part about step moms being real moms. Even though I did not give birth to her I still act in a very real mom role when she is in our care.